Slow Cooker Creamy Chicken & Bacon Sliders - Who Needs A Cape? 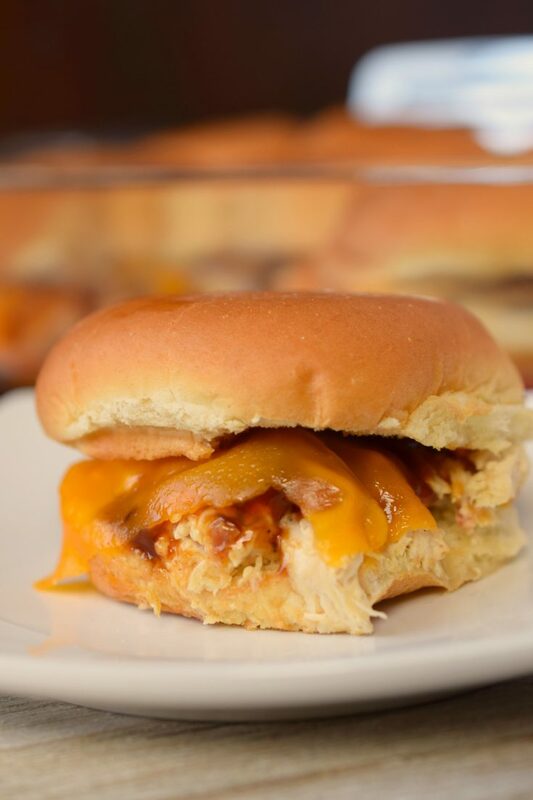 Slow Cooker Creamy Chicken & Bacon Sliders are the perfect game day meal! 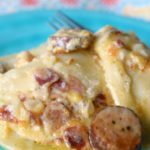 Easy to make, you’ll love this crockpot comfort food that’s perfect for a crowd. This is a sponsored post on behalf of Pepperidge Farms. All content is 100% my own. We adore game day food around my house, in fact, I prefer it over watching the game! WHAT? Yes, for me part of the excitement comes in getting my game day menu ready. Today I’m sharing with you an easy recipe that’s perfect for game day menus. I’m quite certain you’ll find that it’s a recipe you’ll want to make for everyday meals too. Slow Cooker Creamy Chicken & Bacon Sliders are delicious, no more explanation needed! Well, of course, I’ll give you more details but truly you can trust me on this one, they are amazing. 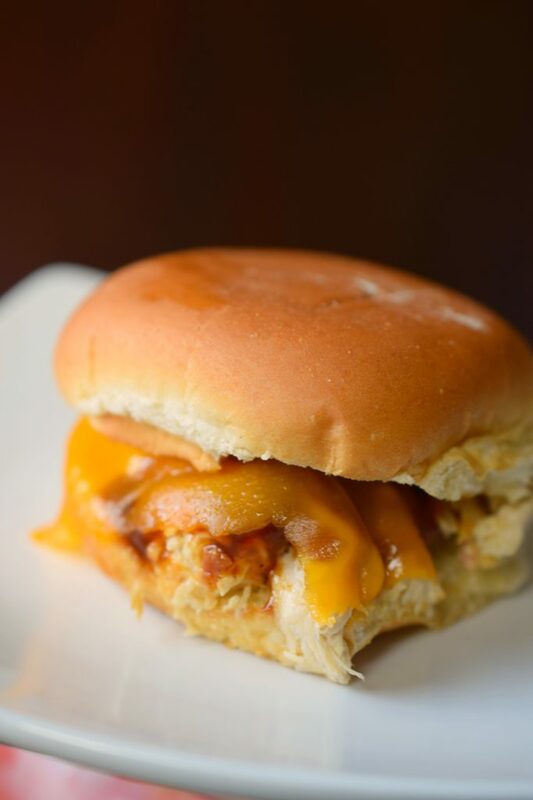 Slow Cooker Creamy Chicken & Bacon Sliders feature Pepperidge Farm Slider Buns. 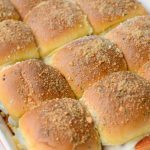 I’ll tell you they are my number one choice when I’m making sliders (and I make them A LOT). Why? Because they contain no artificial flavors, along with no high fructose corn syrup. Plus they come in a variety of flavors: White, Sesame, Potato, Sweet & Soft, Wheat. They also come in a handy 12 count party package perfect for game day recipes. And because they are Pepperidge Farm, they are part of the line up of products that I know my family will enjoy. 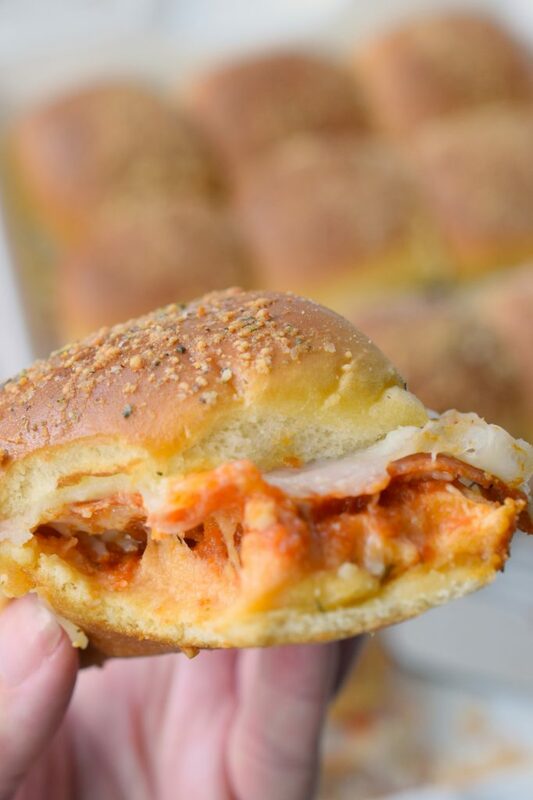 Next, you need the filling for these tasty sliders, right? 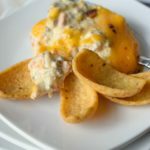 I turned to my trusty slow cooker for the most delicious filling made from chicken, cream cheese, and dry ranch dressing. The ingredients slow cook away until the chicken is tender and ready to be shredded. The next step is, you add in cooked and crumbled bacon…hello, the delicious factor just went through the roof here. Spoon some of this amazing filling onto the bottom of a Pepperidge Farm Slider Bun and top with sliced cheddar cheese, thinly sliced red onion and BBQ sauce. 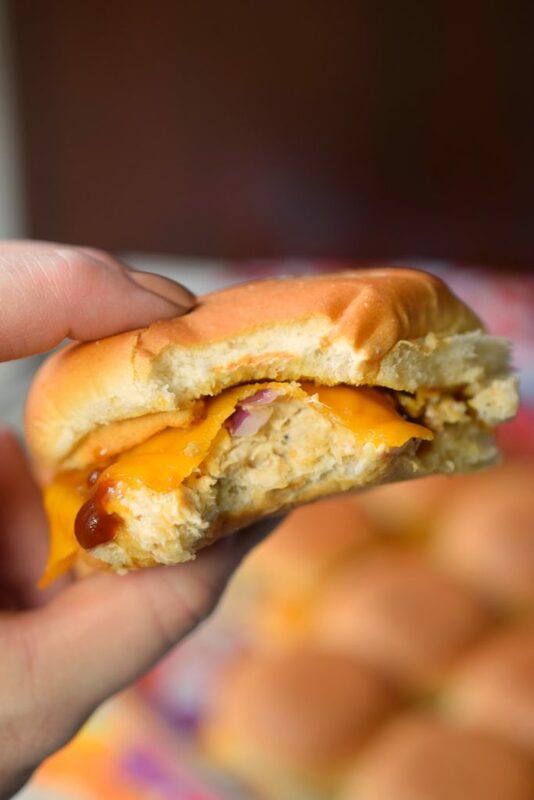 Get the cheese all melty in the oven and put the top of the slider buns on and get eatin’. 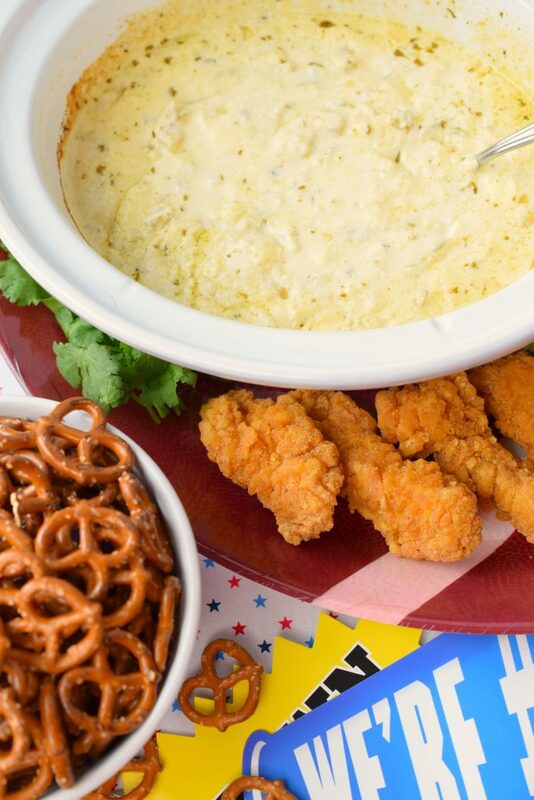 Gameday eating never tasted so good. 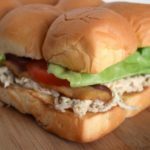 What’s really great about Slow Cooker Creamy Chicken & Bacon Sliders is that early in the day you can get the creamy chicken filling made and ready in your slow cooker. 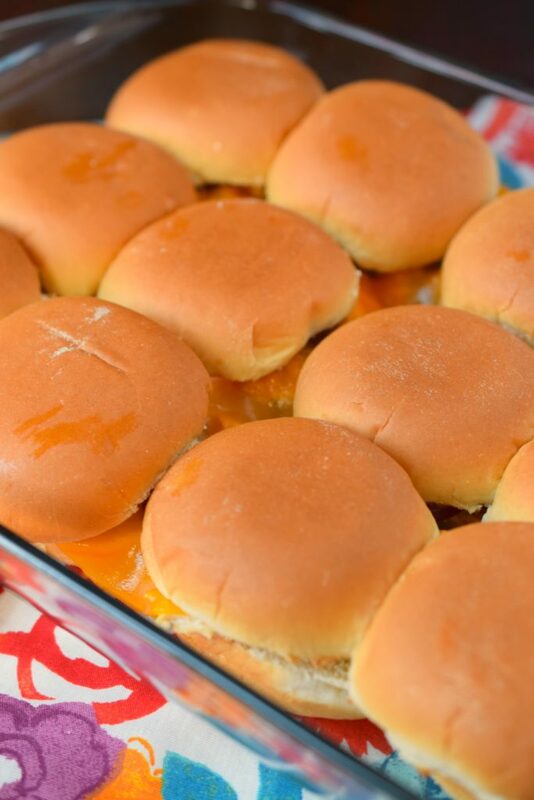 Simply keep it on warm and assemble the sliders right before kickoff. You won’t miss a second of the game except for the moment when you find yourself heading out to grab another one. 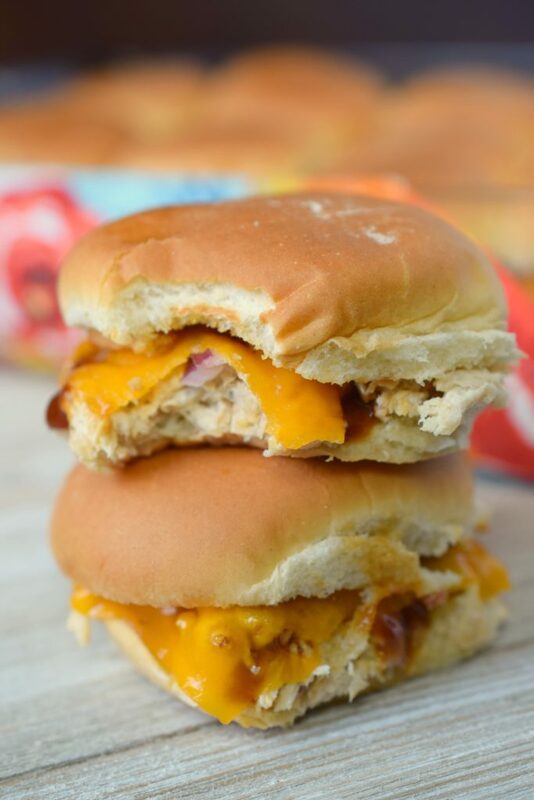 Now that I’ve inspired you to add Slow Cooker Creamy Chicken & Bacon Sliders to your big game menu, I would love to hear what you’ll be making with Pepperidge Farm Slider Buns. Please comment below and let me know. 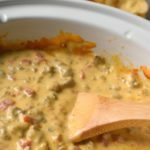 Chuy’s Creamy Jalapeno Dip | Who Needs A Cape? Spray slow cooker with non-stick cooking spray. Place chicken breasts in first, top with cubed cream cheese and sprinkle with dry ranch mix. Place lid on slow cooker. Cook on low for 6 hours or high for 4 hours, stirring once or twice. Shred chicken & stir in bacon. 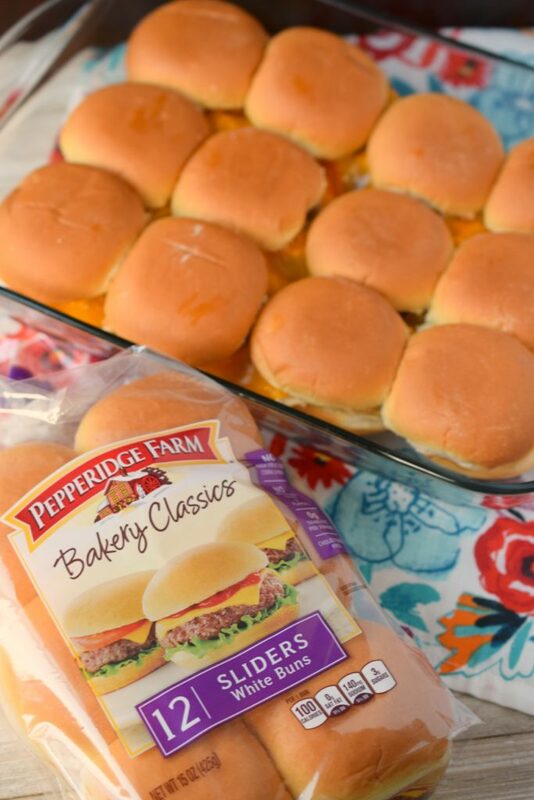 Cut Pepperidge Farm Slider Buns and place bottoms in 13x9 baking dish. Spread creamy chicken mixture over top to buns in dish. Top with red onion. Drizzle barbecue sauce and lay cheddar cheese on top. Bake 3-5 minutes until cheese is melted. 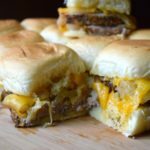 Place tops of Pepperidge Farm Slider Buns over melted cheese. I bet these are so yummy! My boys will be over the moon when I make these for dinner! On the menu for this week!